While property sales for 2018 are still working its way through the deeds registration process a preliminary review of the Lightstone Property Forecast of 2018 indicates that the market is ending the year closer to the 2,9% low road scenario, as opposed to the forecasted 3,8%. De Kock says that realistic local forecasts indicate that the GDP will grow between 0.75% and 1.5%, and CPI will range between 4.0% – 5.5% for 2019. 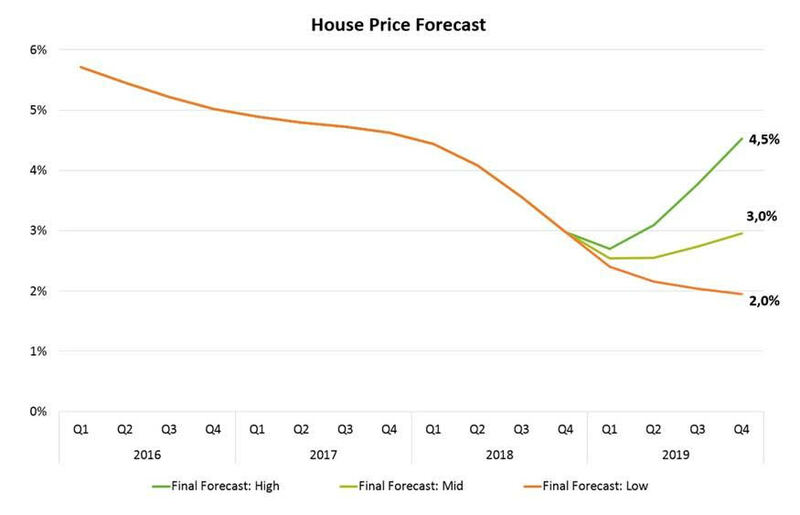 The Lightstone 2019 Residential Property Forecast is developed according to tested scenarios using the before mentioned parameters and fluctuations in the prime lending rate of between -0.5 to 1.0 basis point. 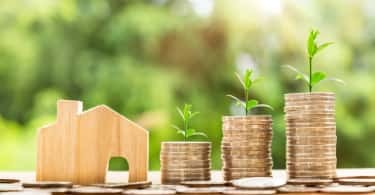 According to De Kock the country will most likely experience a positive economic turnaround post-election, and certainty on economic policy and property ownership are likely to stimulate positive property market activity. When analysing the three different scenarios as modeled by data scientists at Lightstone, it is revealed that should the market follow the mid-road scenario, it will end the year in a similar position as 2018. The latter scenario was not explicitly modeled during the forecast but is based on intuitive expectations from a healthy performing emerging market economy. 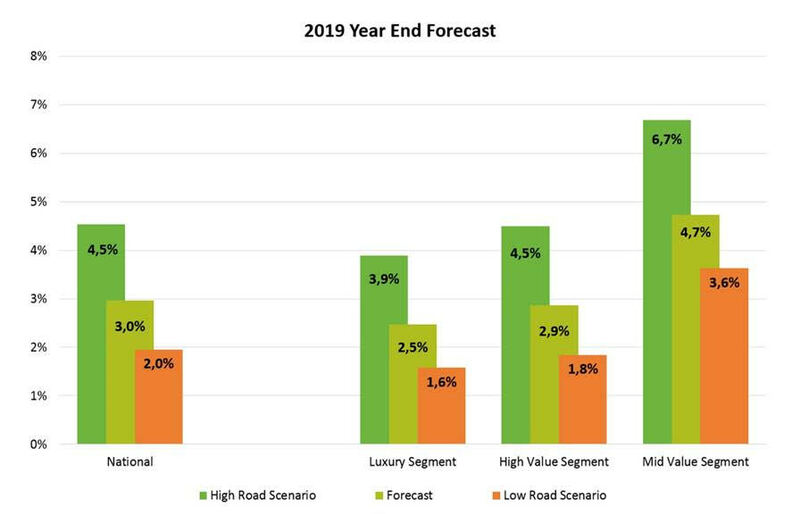 Luxury Market Segment: Similar to the disappointing performance in 2018, the luxury market is expected to continue its negative nominal growth during the first quarter, before correcting during the second half of 2019. The rebound can be swift under a high road scenario as the expectation that this segment should track the CPI growth figures more closely is reinforced. High Value Segment: During 2018 house prices grew by 2,6% and this growth is expected to tick up slightly during 2019 and end the year at 2,9%. Mid Value Segment: As one of the 2018 property success stories, this segment benefited largely thanks to upward mobility of the lower end affordable market as well as homeowners down scaling from higher value segments. This segment is set to stabilise and end 2019 at 4,7% with strong real value growth should the economy follow the high road scenario. 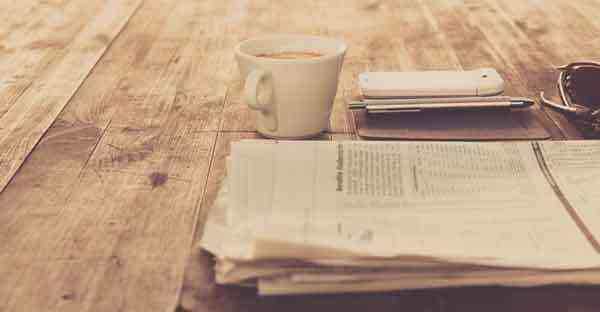 “In the run up to the national elections, uncertainty will most likely increase in the property market as the political and economic environment remains tumultuous,” says De Kock. Specifically in the residential property sector, debates on land reform is expected to continue to influence buyer confidence; however, De Kock highlights that there are early indications in the data that the property industry could still experience a robust recovery in 2019.